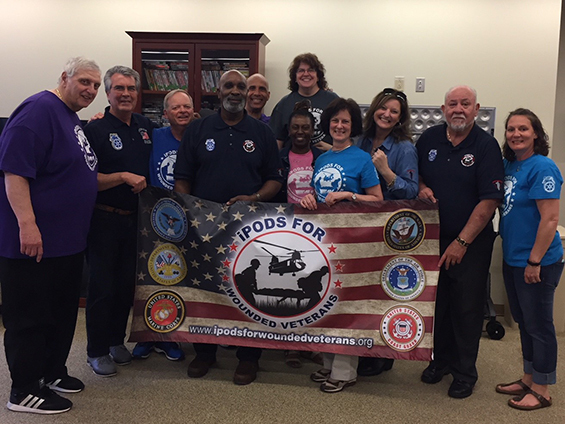 Last weekend, IPods for Wounded Veterans (IFWV), a charity founded and overseen by retired Teamster and Vietnam veteran Paul Cardello, celebrated its 22nd visit to veterans in need. The organization provides free electronics and other goods to veterans in hospitals who are recovering from injuries they received in combat. Wounded veterans often have to be in a medical facility for months and sometimes even years while they recover from their injuries. Being stuck in a hospital for such a long time can lead to a great deal of boredom and feelings of alienation. The electronics the veterans receive help them stay in touch with family and pass the time. The laptop computers they receive can also be used for education or training they can use to re-adjust to civilian life. In addition to delivering electronics, IFWV also delivers letters from students thanking them for their service as a part of their “Dear Soldier” campaign. The organization is completely operated by volunteers. IFWV was started in October 2010, when Cardello was visiting monuments in Washington, D.C. as part of a group of veterans. Cardello reached out to the Walter Reed National Military Medical Center to ask what they were in need of, and a staff member from the facility said the recovering members of the military had been asking for iPods. Cardello and his fellow veterans stopped by to meet with their fellow veterans and delivered the iPods. 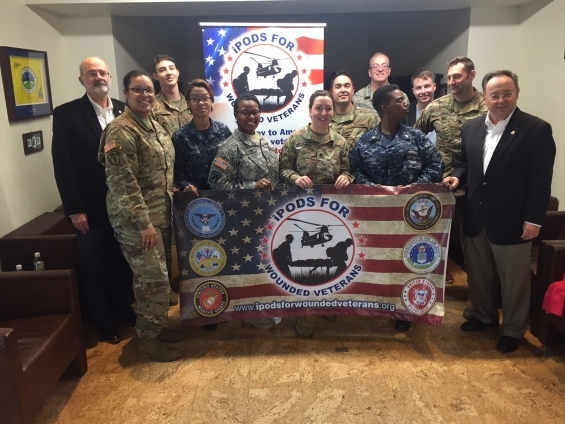 During the most recent trip, the organization visited members of the armed forces at VA medical facilities in Ft. Belvoir, Petersburgh and Richmond, Va. Teamsters Airline Division Director Capt. David Bourne and Economics and Contracts Director Jim Kimball went with the organization to assist with distributing goods to those recovering at VA medical facilities. BMWED-IBT Vice President Roger Sanchez and Director of Organizing Tim McCall visited service men and women at the McGuire VA Medical Center in Richmond, Va. And Popular Springs VA in Petersburg, Va.